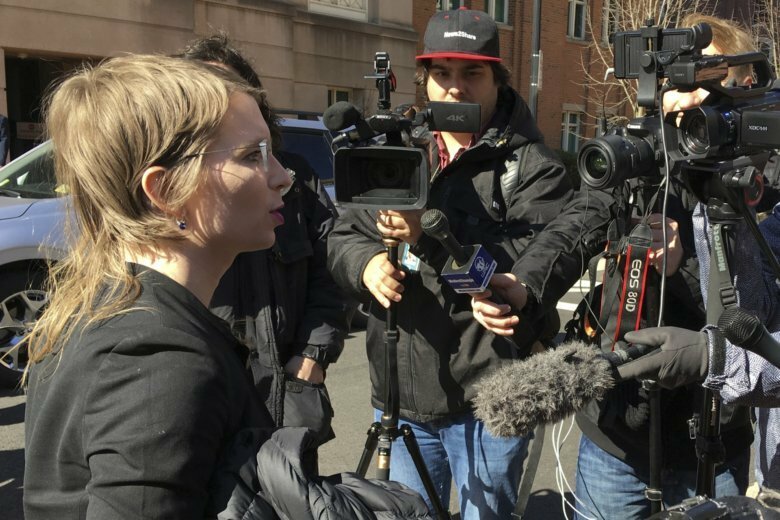 ALEXANDRIA, Va. (AP) — A judge rejected an effort from Chelsea Manning to quash a subpoena demanding her testimony in an apparent investigation of Wikileaks, the former Army intelligence analyst said Tuesday. But Manning said after the hearing in federal court in Alexandria, Virginia, that she will continue her legal efforts to avoid testifying to the grand jury. “I’m going to be back here tomorrow” to continue fighting the subpoena, Manning said as she left the courthouse. Tuesday’s hearing before U.S. District Judge Claude Hilton was closed to the public, and prosecutors at the hearing, including U.S. Attorney Zach Terwilliger, made no comments afterward. In a brief statement after the hearing, Manning confirmed that the judge rejected her motion to quash the subpoena as well as efforts to open the hearing to the public. She said she opposes the grand-jury system as a matter of principle. Manning — who had about a dozen supporters at the courthouse carrying signs that read “Solidarity with Chelsea” and “defend Grand Jury Resistance” — said she does not know why here testimony is being sought. “I just know there were an awful lot of government lawyers there” at the hearing, she said. Prosecutors in Alexandria have long been investigating Wikileaks. Manning served seven years of a 35-year military sentence for leaking a trove of military and diplomatic documents to the anti-secrecy website before then-President Barack Obama commuted her sentence. Last year, prosecutors in Alexandria inadvertently disclosed that Wikileaks founder Julian Assange is facing unspecified, sealed criminal charges in the district. Wikileaks has emerged as an important part of Special Counsel Robert Mueller’s investigation into possible Russian meddling into the 2016 presidential election, as investigators focus on whether President Donald Trump’s campaign knew Russian hackers were going to provide emails to Wikileaks stolen from Democratic organizations, including presidential candidate Hillary Clinton’s campaign. But the Alexandria prosecutors’ investigation of Wikileaks predates 2016, so there’s no obvious link between the efforts to subpoena Manning and Wikileaks’ role in disseminating the hacked emails.